While researching a different story this morning I stumbled across an offer from kalahari.net that I had to share. 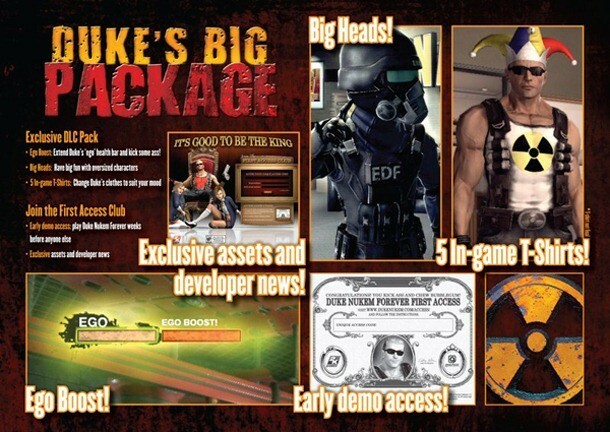 According to a banner on their site at the moment if you pre-order Duke Nukem Forever, which we all should be doing anyway, you will also receive an early access pass for the upcoming demo and Dukes Big Package DLC. It looks like this is old news but it’s the first I have seen of it so as they say, sharing is caring. IGN has also posted up a video explaining the back story of Duke Nukem which is interesting and well worth the watch while you slack off from work.